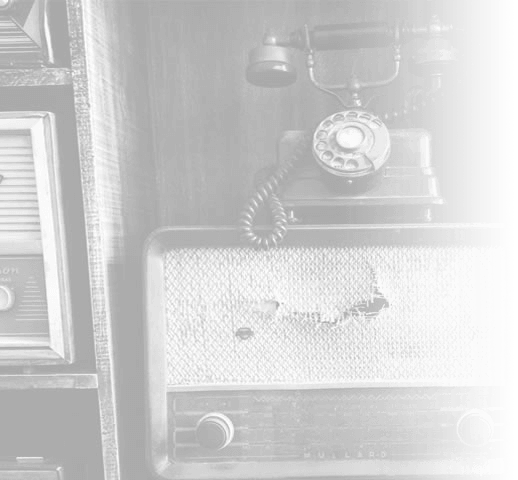 Home » Blog » What makes a great landing page? Landing pages are different to homepages; their purpose is to encourage users to perform a specific action, which is why getting the design right is key. In this blog, we explain why landing pages are so important and provide you with some useful design tips to boot. Why do companies use landing pages as opposed to their actual website? A landing page allows a business to focus on a specific end goal, such as lead generation for future marketing campaigns, to highlight a promotion or to encourage an action. The homepage on a company’s site will try to get users’ attention with many products, services and other information. This can make it difficult for the user to focus on a specific product. If you are running a paid search campaign, for example, you don’t want users to be distracted from the conversion you are trying to achieve. 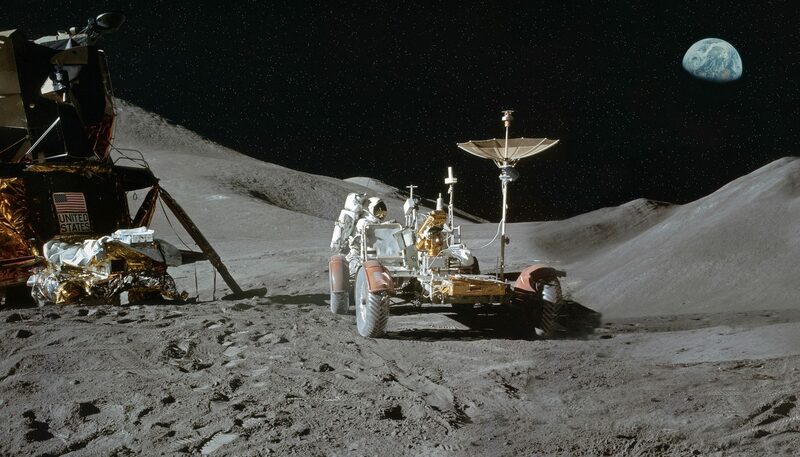 That’s where a landing page comes in. Here’s a break down of what we think makes a great-looking landing page. WebDAM’s landing page was created to encourage downloads of its brochure. It’s a great example of a well-designed and thought-out landing page. It’s striped out the navigation meaning the user can’t move on to another page. Clear messaging in the header reinforces the reason the user has landed on the page. A straightforward and well-laid-out contact form. The strong use of colour draws the eye in, while the icons add a nice visual touch. The call to action (CTA) is easily distinguishable as a button, and its colour makes it stand out against the form’s background. Key features of the product are listed underneath, in bite size chucks – easily digestible for the user. The inclusion of the logos adds trust signals to the page, showing the user the product is well established and trusted in the industry. Testimonials are another great trust signal. It’s easy for the company to toot its own horn. Adding in testimonials shows that the product works and is valued by the customers. All these elements make for a great landing page. All the information is easily accessible. There’s no additional information to confuse. The form is laid out in an easy and simple way, requiring little effort from the user. 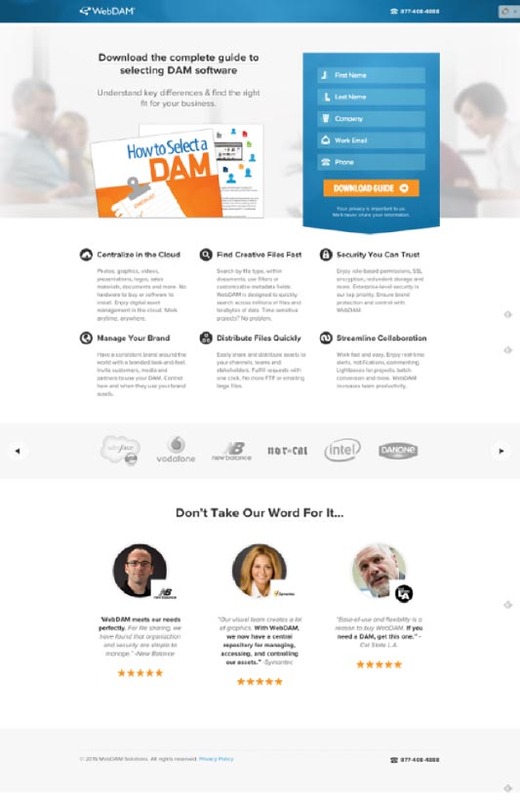 Now let’s take a look at WebDAM’s homepage to show why a landing page works better. The homepage is designed to promote the company and its products as a whole. There’s potential for multiple interactions on the site – this could be anything from downloading a brochure, filling in a form or interacting with another page. Straight away, that’s a lot of ‘distractions’ for the user, which is less than ideal when you want them to complete a specific task. Homepages often contain information on multiple products. Each of these could have a call to action, which have the potential to take users away from the homepage. A landing page will usually have a single CTA (for example a submit button for a form), making it clear to the user where the interaction will take place. Below are some of our top tips to create an effective landing page, along with examples of companies who’ve implemented them to great effect. We live in the information age. People are used to getting the facts they need in a short time. Take this in to account when designing a landing page. After all, the reason you’ve created it is for a specific end goal. Make sure the reason the user’s come to the page is evident straight away. A strong, simple title which emphasises the keys points will help lead them to that end goal. Causevox uses big, simple and easy to understand titles throughout its landing page. Landing pages are created to make information quick an easy to obtain. If the page is full of graphics and visuals then the key message may get lost. That’s not to say images shouldn’t be used; we all know a picture is worth a thousand words. Digital Telepathy uses visuals to help emphasise certain pieces of information without crowding the page. The use of a more decorative typeface also adds another visually-engaging element to the page. Your business has a specific end goal and this needs to be evident to the user. Think of a landing page like a shop – most store will be laid out with one goal in mind: to get the customer to the checkout and make a purchase. Landing pages are designed to do the same. Lay it out in a way that the user can follow using visual elements or text to point towards form completions and CTAs. 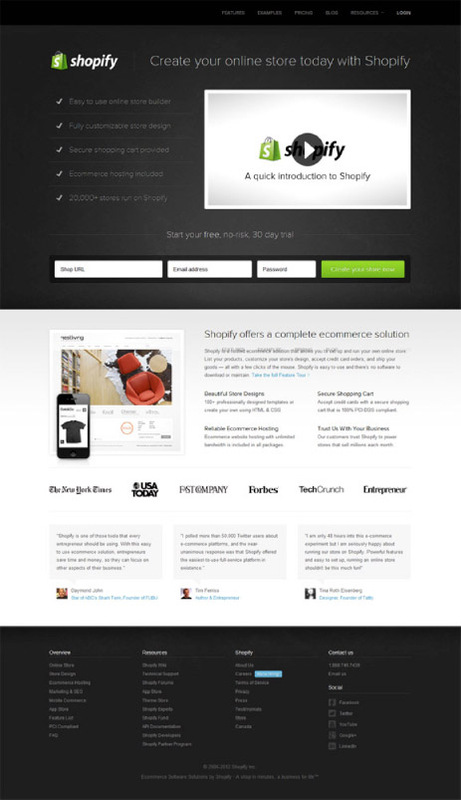 Shopify uses a clean and easy to follow grid layout. The breaks in the page make it easy for users to find the information they need. Colour, if used in the right way, is a great way to ensure key messages get seen. It gives forms and CTAs the visibility they deserve. FiveStars uses strong contrasting colours. The purple button instantly jumps out from the black background. 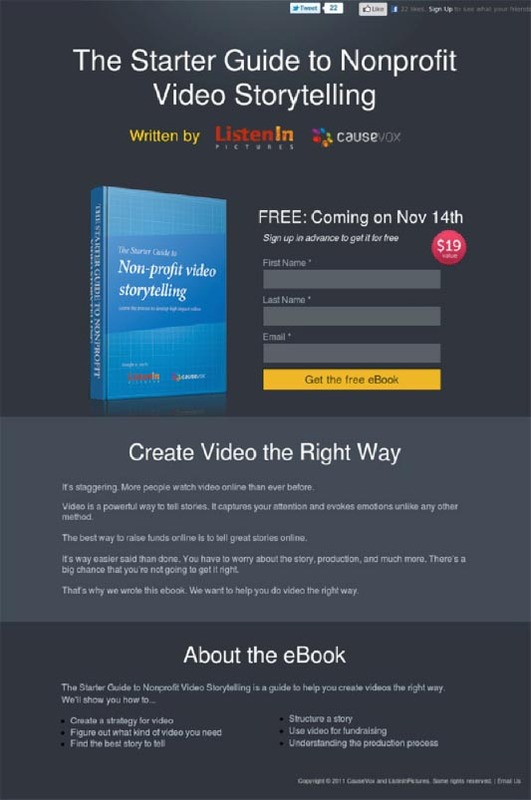 Using video is proven to improve conversion rates by up to 80%. Video allows the user to get all the information they need in a visual and engaging way. Plus, in general, people will remember visual over written information. 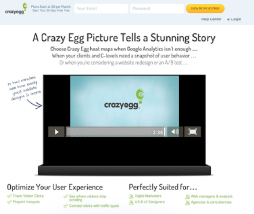 If you’re still not convinced, the video on Crazy Egg’s landing page helped it earn an extra 217k a month in revenue. Taking the time to think about the end user is paramount in making a landing page work. That’s why considering the design and layout can benefit your conversion rates greatly. By following the simple tips we’ve outlined, you’ll be well on the path to creating a landing page that’s a well designed, conversion machine.